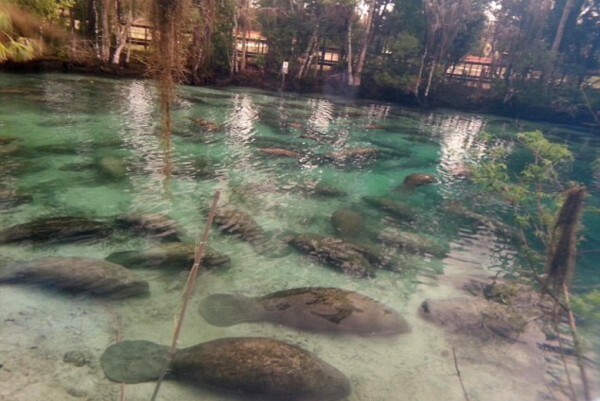 An enormous swarm of over 300 quite large manatees all decided to bear down together a few days ago on the Three Sisters Springs in Crystal River, Florida, forcing the closure of the springs to the public. 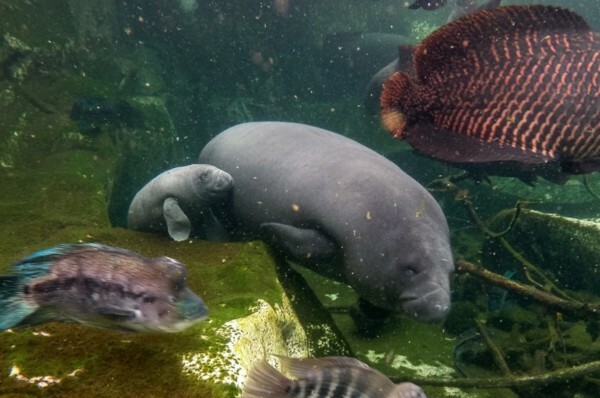 The manatee swarm isn’t particularly unusual as manatees are known to spend significant amounts of time near springs or power plant warm-water release sites during the winter months, owing to their lack of fatty insulation. But, this manatee species used to migrate south during the winter months — it’s thought/speculated that part of the reason for the change in behavior is the loss of significant portions of its habitat in the more southerly regions where it used to overwinter. 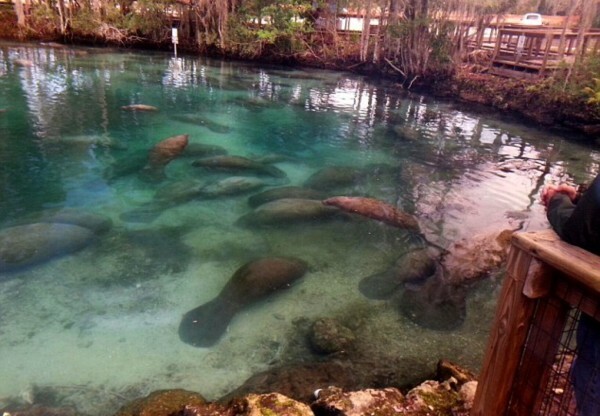 As far as the temporary closure of the springs due to the manatees, that was down to the US Fish and Wildlife Service looking to limit the issues that might arise in a small spring filled to the brink with massive manatees and people. Those who just want to take a look can/could do so though, as the perimeters are still open to pedestrians. This swarm is nearly two times larger than any that has been seen at the Three Sisters Springs before. Snake On A Fence — Hanging Dead Snake Photo, Real Or Fake?